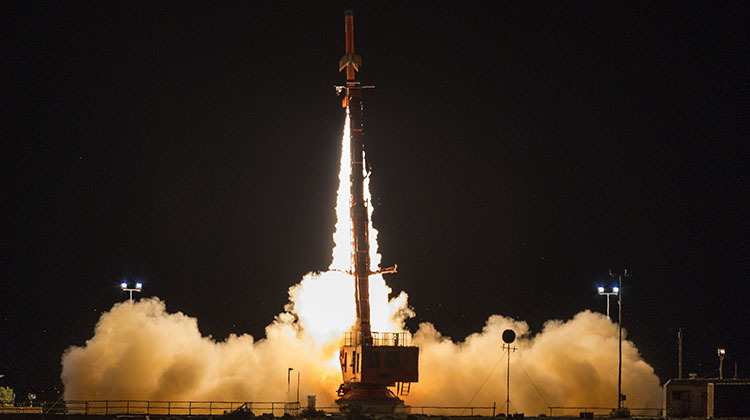 A HIFiRE4 hypersonic test vehicle is launched from Woomera in June 2017. The federal government announced the two new facilities, to be built at a cost of $12 million, on Monday. Federal Minister for Industry, Science and Technology Karen Andrews said that the Mission Control Centre would be a “focal point for space missions in Australia, providing facilities to control small satellite missions, enabling real-time control and testing and the accelerated development of Australian satellite technology”. “It will be available for use by space start-ups and small-to-medium enterprise space businesses, as well as research and educational institutions from across Australia,” Minister Andrews said in a statement. Meanwhile, the Space Discovery Centre would provide science, technology, engineering and mathematics (STEM) education for young people, including mission simulation and training for tertiary education. They are being built in collaboration with the South Australian government and among the initiatives included in the Adelaide City Deal. The Mission Control Centre and Space Discovery Centre will be located at the Lot Fourteen precinct on the site of the old Royal Adelaide Hospital, which is also the home of the Australian Space Agency. In December 2018, the federal and South Australian governments signed a memorandum of understanding to establish the Australian Space Agency in Adelaide. The agency is scheduled to open its doors in mid-2019 with about 20 full-time staff. The Australian Space Agency was currently working out of temporary offices in Adelaide while its home at Lot Fourteen was being built. The federal government is aiming to triple the size of Australia’s space sector to $12 billion and create up to 20,000 new jobs by 2030. Having the Australian Space Agency, and now a Mission Control Centre and Space Discovery Centre in South Australia extends the state’s long history in the sector that stretches back to the 1960s, when Australia became the seventh nation to launch a satellite into orbit. Named the Weapons Research Establishment Satellite (WRESAT), the 45kg spacecraft was designed and built by Australians and took off from the Woomera Test Range in South Australia on November 29 1967. After 642 orbits of the earth, the satellite reentered the atmosphere 42 days later when it landed in the Atlantic Ocean.